The commercial capital of Sri Lanka is also its largest city with a population of around 5 million. A popular tourist destination, Colombo is situated on the western side coast of the island and is also adjacent to the Greater Colombo area. This city is also the financial center of the island along with being the administrative capital of the whole of Western province. This vibrant city showcases some fascinating colonial ruins and buildings, especially its large harbor, which was located at the prime strategic position for East West trade routes and even till now it is one of the major exporters of cinnamon. You can get into the city through its Bandaranaike International Airport, which invites both national and international flights. You can even book Dubai to Colombo flights, LA to Colombo flights, Singapore to Colombo flights and more so easily as well from trusted services. Ministry of the Crab: Being in a coastal city and not enjoying seafood and especially crabs will be a mistake. This posh restaurant is all about crabs and aims to celebrate the fresh produce. Do try out their spiced crab curry and Singaporean chili crab if here. 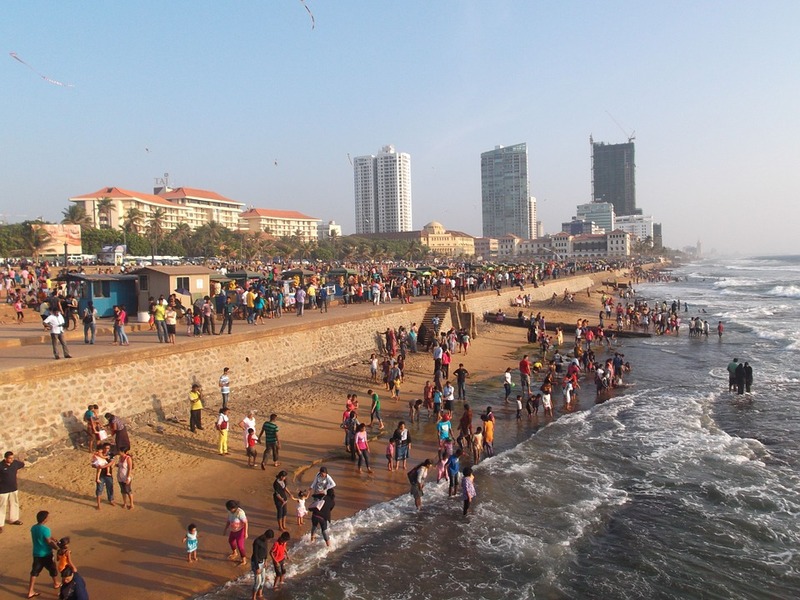 Galle Face Green: This is a long open space which faces a narrow beach. Originally cleared off by the Dutch so as to give the cannons on top of the fort a clear line of fire. Now, it has long shed its original aspirations and is a popular spot for rendezvous by the seaside. You will find people just enjoying themselves there as vendors bring their supplies of deep fried treats. Do try a shrimp fritter, isso Wade and a lime juice. The space here is just so expansive it feels freeing to be here. Viharamahadevi Park: Originally known as Victoria Park, this is Colombo’s biggest park. The most notable feature it has are its flowering trees which bloom in the moths of March, April and then till early May. You might also be able to see elephants who were used ceremonies and then left in the park to rest and have some of the palm branches. The park is well maintained and features, landscaping, walkways and benches. Vesak Poya: This festival is conducted to celebrate the birth, enlightenment and death of Buddha. Lots of crackers are burst and a lot of competing groups put up smaller displays. It is just food and fun everywhere. If you do attend this festival then attend it in the area surrounding the Gangaramaya Temple and South Beira Lake. Dutch Period Museum: The museum was actually the residence of a Dutch governor in the 17th century and has since then been used for various purposes like that of a military hospital, Catholic seminary, post office and police station. There’s a garden courtyard on the outside and the exhibits include various types of Dutch colonial artifacts and furniture. Moreover, it was actually in this place that the king of Kandy, Rajasinghe II signed a 1638 treaty that opened up in Sri Lanka to the Dutch. Colombo is a city which has successfully preserved its own heritage while also assimilating the best features of the various cultures which had entered the land. That balance alone makes it such a delight to visit. It happens to everyone at some point or other – being faced with having to purchase gifts for the person who has everything or who is notoriously difficult to buy for. At Christmas particularly it can be difficult to devote the time to thinking of the perfect gift for the person who seemingly has everything, which is why sometimes it’s easier to play it simple. Here are a couple of fantastic ideas for small gifts to put into a stocking for those hard to buy people this year. Stay stress free this holiday season and stick with the simple suggestions! It goes without saying that lottery tickets and scratch cards are popular items to add into a stocking as a stuffer. 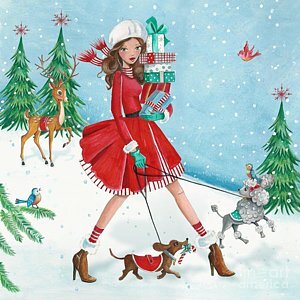 Many shops have special Christmas packets as well which make fantastic gifts with the potential to win even more frequently than normal, making it a great option for the person who has everything or as a general stocking stuffer for everyone. You can buy lottery tickets both online through subscription and in your local gas station, with online subscriptions becoming more and more popular. Consider giving someone a subscription for Christmas with several months already loaded to their account so they never have to think twice about whether they’re in next week’s draw. Gift cards are a hugely popular option for everyone at Christmas with options to buy gift cards for everything from various shops, outings, online retailers and more. This is a great idea for the person who has everything, especially when you opt for things like prepaid Visa or Mastercard where they can use it anywhere, including online. Do they like a specific restaurant, shop or activity? There’s a gift card for that, most probably. If you have a friend or family member that is impossible to buy for, why not consider getting them a day out somewhere. As mentioned before, gift cards can be a great way to do this, but if you know they’re planning to go on a vacation or a trip in the next several months (or even a year from now!) you can opt to purchase an activity, event or day out on their trip that they would enjoy. Extra activities on cruises are a great example of something you can buy for the person who has everything if they’re going on a cruise soon. Use your imagination – even a couple nights at a luxury resort in their destination can be a great gift! Does your loved one enjoy getting out to the cinema or theatre? Purchasing tickets to a specific show they’ve been wanting to see can be a great option for the person who is hard to buy for or who has everything. Some theatres even do yearly passes for a price that give you tickets to every show they have on, the ultimate experience for theatre lovers. So if you’re dreading Christmas because you don’t have time to think up the perfect gift for those people who are impossible to buy for, don’t fret. With these great ideas you will be the talk of the family with your great gift ideas. You might even get people coming to you for advice for next year! Until a few years ago, the idea of a nine-to-five job was the predominant one most educated people would strive for. It represented security, stability, and a chance to save for the future. 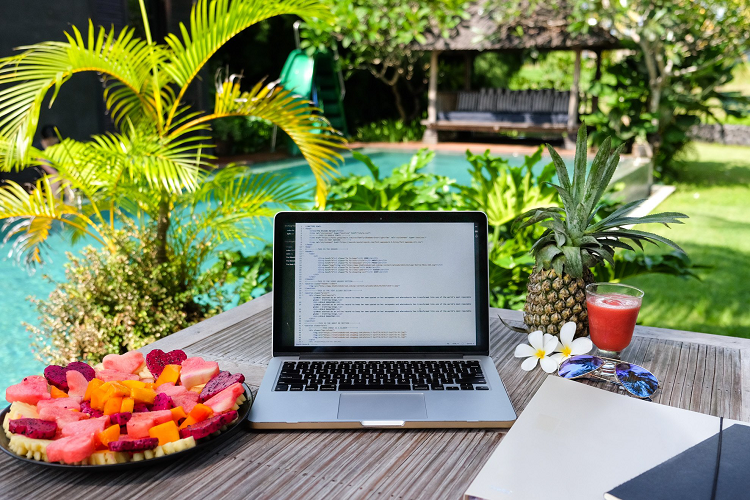 However, the availability of a solid Internet connection paired with secure online payment methods has enabled a surge of freelancers who work on the go – the so-called digital nomads. If you are eager to see the world, experience new cultures and still make a living while traveling, then this is the career path for you. However, before you start making plans, you need to make sure you’ll be able to provide a quality service no matter where you are, so consider the following occupations and projects to earn money and build a reputation on the go. Are you a fan of a particular brand or a few of them that you use practically every day? It can be a preferred fitness brand, a cookware company, or a particular fashion label, you name it, it can become your source of income if you truly enjoy their product or service. It would be best if you have a website of your own, and a decent social media following, so that your audience would be appealing to the brand in question. In addition to making money on sales that happen through the links you share, you will likely get other perks, depending on the brand. Some offer discounts for their affiliate members, others offer gift cards and similar benefits. However, you can do this easily wherever you have access to a strong Internet connection, so you can build your network of followers wherever you go – in fact, traveling may give you the edge to make your posts all the more engaging. Since most of us get informed and educated online, it has become a matter of habit to learn more about a product through online content, whether they are blogs, videos, or actual reviews. That is why brands are doing their best to provide top-of-the-line content, to connect it closely with their marketing strategy and make their brand stand out. If you consider yourself a wordsmith, and an added plus is you having some background in marketing, you can easily work via different platforms such as Upwork, or talk directly to brands to offer your services. Many of them work with freelancers to make the most of their content, so you can work on the go if you can keep up with their needs. Just like brands value user-generated content, they also build their reputation, and improve their products and services with the help of your opinion. Simply put, you can get paid to take surveys online, no matter where you decide to travel, as you can choose how much time you’ll spend on this particular job. 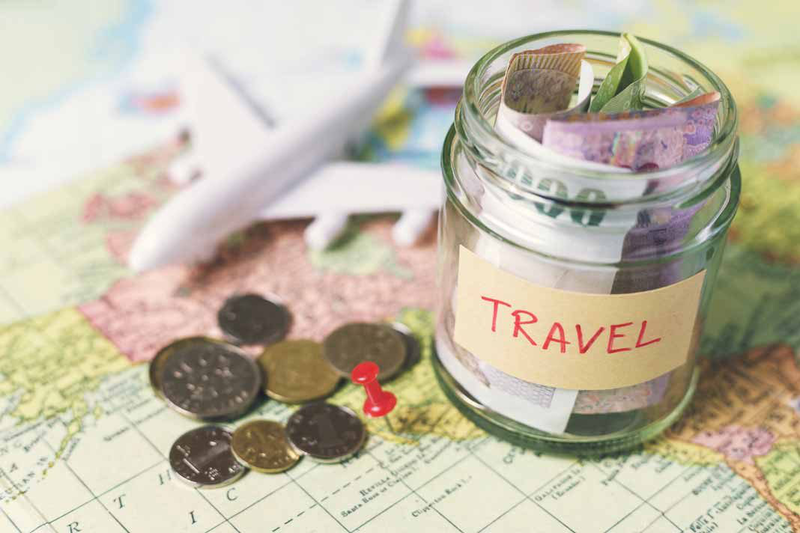 It’s a great way to earn additional cash to support your travel wishes, but it can also be a fairly lucrative scheme if you go to the right websites and stay persistent. Keep in mind that different surveys come with a wide range of different perks, from actual cash, all the way to various rewards, which may make your shopping much easier with gift cards and discounts. If you have an eye for detail and you work well with various free and paid tools that make you a design guru (think: Adobe Dreamweaver, Photoshop, etc. ), then you can find many project-based jobs and remote work via the same platforms that connect brands with content writers. Much like language, the visual aspect of every brand is equally important in making the right impact on their audience, and with the right laptop and software at your disposal, you can easily work on your own terms, and explore the world while you work. In fact, all forms of graphic and web design are very profitable nowadays, making them some of the best options for digital nomads. It helps if you already have a portfolio to showcase to your potential clients, because your experience shows whether you’re the right fit for the company. Asia seems to be a growing market for language teachers, especially those who specialize in English teaching. However, even if you don’t have any certification, but you speak the language fluently, you can join an existing language school and start teaching based on their lesson plans. You can even build your own teaching website, offer online courses, teach via Skype, whatever works best for you, but you can easily create your own schedule to leave plenty of time to discover new places and cultures! Southeast Asia is indeed a wonderland for families with kids. There are endless attractions in the region for the whole family. There are, of course, the typical must-see cities, attractions, and resort islands. Some of the most visited places are Bali, Singapore, Vietnam, Hong Kong and Bangkok. Children love to explore nature, beaches and have loads of fun-filled activities. Along with planning where to go and what to do, one should be careful about their accommodations. Sabah hotels make for an excellent choice for families traveling with children as they have special deals and discounts along with top-notch amenities and facilities for the whole family. You will love the great food and a relaxed vibe at these hotels. 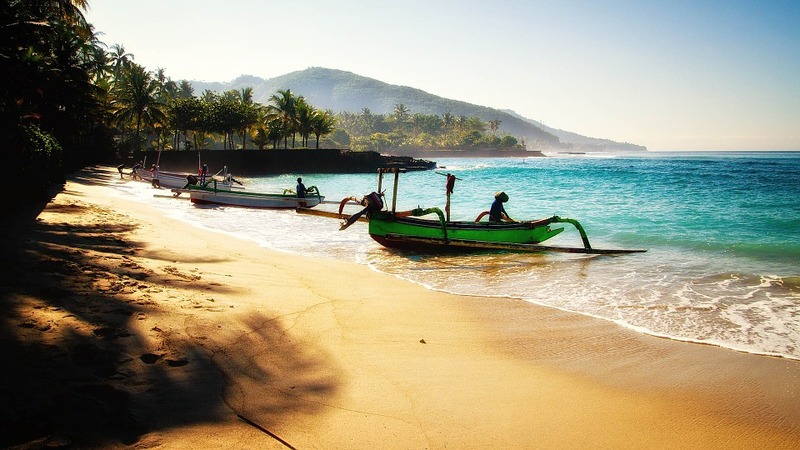 Families how love beaches should visit Bali. The cultural destination of Southeast Asia works really well with children. There are bright and energetic outdoor activities such as dancing, singing and the theatre that is simply loved by the children. Explore local walks and hikes in and out of the rice paddies. Moreover, there is fantastic and delicious food to be enjoyed at those great bakeries. It is truly a wonderland for the children who arrive in Indonesia. They enjoy the energetic pulse of the cities, the hustle, and bustle as well as the quiet and peace of the villages and outskirts. Sacred Monkey Forest Sanctuary is a must visit. The protected reserve and a temple complex shelters the Balinese macaques. Children love to watch the forest staff feeding sweet potatoes to the monkeys. Explore the temples within the jungle sanctuary, and those sacred temples were built in the 14th century. Singapore is the ultimate destination for families. With a boggling array of food and entertainment options, children love to explore its colorful neighborhoods. It is very it is easy to get around thanks to the well-established transport system. Visit the Sentosa Island and the Night Safari as well as the Science Centre. Singapore Zoo boasts of exotic and endangered animals and has the most extensive collection of orangutans. It is indeed a great experience to explore the modern and immaculately clean Singapore with plenty of family-friendly destinations and spacious hotels. Malaysia is a lot smaller and friendlier than Singapore but somewhat similar. One can easily spend a couple of weeks here with their children. It is indeed fun and exciting to explore Penang with so many spots to explorer and different cuisines. Sabah Oriental Hotel is trendy among families with kids as it has air-conditioned rooms and excellent dining options. Moreover, it is just minutes away from the IMAGO Shopping Mall. Thailand, located in Southeast Asia is world famous for its beaches. So families who love beaches and beach activities should arrive here. Railay and Ao Nang are both fantastic and very kid-friendly beaches. Kids love it here and enjoy walking on the sandy paths leading from one beach to another. You can rent a kayak or go for rock climbing and explore some caves. There are several good quality restaurants nearby on the beach where one can enjoy fresh seafood and other local delicacies. It is a fun and a unique experience for the whole family as they explore Vietnam. Do not miss the chance to experience Vietnamese life and travel like the locals and eat like them. You could travel by bus, rent a car or even a bike to reach a popular destination. It is a joy to explore the stunningly beautiful Phu Quoc islands of Vietnam. It is only in Vietnam where you can experience dunes, white sand beaches, rice paddies, canyons as well as the busy cities, and quiet villages. There are a lot of motorcycle riders who would like to do their own repairs. They would like to enhance their motorcycle further and they do it by making sure that they have the right motorcycle parts to use. 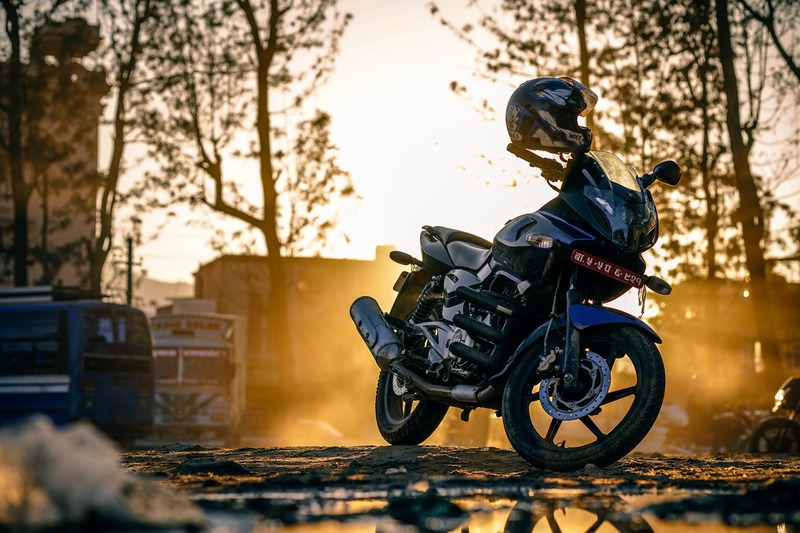 You can find Honda motorcycle OEM parts easily as long as you know the right websites to check out and the right places to visit. It is okay if you are going to replace a worn out motorcycle part or if you are going to improve one that is already damaged. You need to find an item that will improve your motorcycle’s performance. Otherwise, what will be the point of replacing the motorcycle parts? Some would like to get an OEM even though they know that it is expensive because it will be worth it in the long run. Always check if the part that you want to get for your motorcycle is compatible with your motorcycle. If not, then this can become a problem in the long run. You may end up spending money for a motorcycle part that you do not need. Do a lot of research about the parts that you want to place. Some parts are really needed by your bike in order to move. There are others that can enhance your bike’s performance. Understand how each part can affect your bike. It will make a lot of difference that way. Check the quality of the parts that you want. Even if you are looking for OEM ATV parts, it will be tempting to purchase the least expensive ones. It is best to choose parts made by established brands so you will not have any regrets when you install the part on your motorcycle. Remember that the performance of your motorcycle will always be affected by the parts that you will place on it.